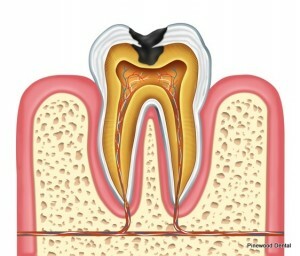 Dental sealants are thin layers of resin that are placed on the pits, fissures, and grooves of molars to prevent decay on these surfaces. The majority of decay on back teeth starts in the grooves and pits of chewing surfaces, especially during the first few years after their eruption. Sealing these surfaces with composite resins prevents this kind of decay. Sealants are one of the most effective methods of preventing tooth decay on the surfaces where they are placed. Although it is still a possibility that decay may develop on surfaces in between teeth, sealants significantly reduce the overall chance of having cavities. Call your trusted Lemont dentist Dr. Mohajir today to prevent further development of tooth decay.